The decision of where to attend law school is a difficult one for many applicants. Once prospective students realize New York City is the choice location for their legal education, the question usually becomes “NYU or Columbia?” While some instinctively know which school will be a better fit, others struggle with the decision. My Columbia Law friend, MarLa Duncan, generously agreed to help me decipher the differences between the two schools. As a preface, the focus of this post is on the differences rather than the similarities, since both schools provide an excellent legal education with world-renowned professors and amazing job prospects. As MarLa aptly stated, the true differences lie in the intangible factors. Student lifestyles, for example, are quite different. 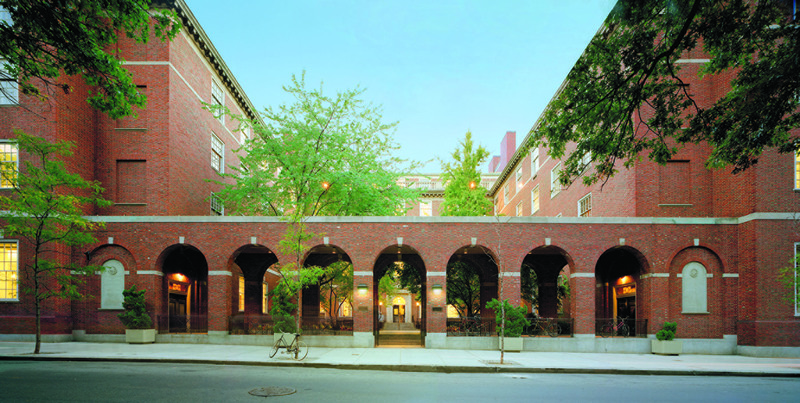 For housing, the overwhelming majority of Columbia Law students live in law school-provided housing all three years. The housing is nearly identical to apartments, however. At NYU, student housing is much more dorm-like, with single beds and an absence of living rooms. Thus, most NYU students leave school-provided housing after 1L, moving to surrounding neighborhoods such as SoHo or the Lower East Side, making the great exodus to Brooklyn, or relocating anywhere else throughout the city. I opted for Brooklyn and have an affordable large apartment with a 20-minute subway commute that permits me to separate my personal and professional (fine, student) affairs. NYU, located in the heart of Greenwich Village, has a much higher quality and variety of stores, bars, restaurants, and coffee shops, attracting tourists and locals alike. Columbia is in Morningside Heights and Morningside Heights is Columbia, providing a less distracting or a less lively environment, depending on your perspective. Columbia Law students rotate among two or three main bars, while Bleecker Street alone provides NYU Law students five times that number one block from campus. As a side note, however, many NYU students, including myself, are extremely loyal to one bar: Triona’s, where Triona herself will greet you by name and accept you as a friend on Facebook, if you’re lucky. On the other hand, Columbia has a distinct and beautiful quad, allowing students to feel as if they have an actual “campus.” NYU is a school spread over the city, although one could argue Washington Square Park is our “quad,” seeing as NYU owns every surrounding building. Prestige-wise, both schools are historically ranked among the most elite law schools in the world. MarLa noted that Columbia comes with many of the perceptions of being an “Ivy”–for better or worse. The Village vibe may help NYU maintain a more laid-back atmosphere, but students at either school can personally choose how seriously to take law school, and themselves in general. With respect to jobs, 1Ls at both schools obtain the same types of positions and have guaranteed summer funding for public interest internships. For 2Ls, 76% from Columbia head to a private firm, while 55% from NYU head that direction. Earlier 2L classes at NYU, however, had as many as 88% head to a firm for the summer. At graduation, Columbia has 10% more students head off to firms, but NYU has a strong 27% lead in government and public interest careers. In terms of geography, the vast majority at both schools remain in NYC, but NYU has 9% of graduates head to the West Coast, while Columbia has only 1%. Both schools offer a wide variety of courses, and the schools also offer an exchange program through which students can take courses at either institution after 1L year. The main differences in the 1L curriculum are the required Administrative and Regulatory State and Lawyering courses at NYU. After your 1L year at NYU, you could end up having up to three more required courses to take: Professional Responsibility, Constitutional Law, and Property. At Columbia, following your 1L year, the only remaining required course is Professional Responsibility. In alignment with the school’s focus on effective legal problem solving, working with less privileged communities, and public policy advocacy, NYU offers a much larger number of clinics for students: 30 this year. In contrast, Columbia appears to have offered nine. (I am participating in the Tax Clinic this spring and will be sure to report on my experience in a future post.) Both schools have roughly the same number of journals, but NYU’s Moot Court is considered equivalent to a journal, while Columbia’s is considered an extracurricular activity. In a friendly competitive spirit, both law schools participate in an annual basketball game to raise funds for public interest programs–which NYU has won the past three years in a row. In addition, as a personal plug, NYU offers a superior annual Law Revue musical parody that produces high-quality music videos, while Columbia’s Law Revue operates each semester as a comedy show. This post hopefully has clarified some of the differences between these two great schools. If you have further questions, visit the schools, speak with current students about their experiences, and, overall, trust your gut instincts about the right fit for you. This entry was written by Amber Rudolphi '13 and posted on January 11, 2012.